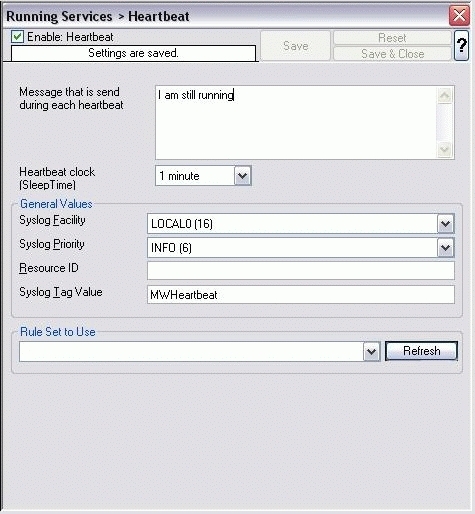 The heartbeat process can be used to continuously check if the EventReporter is running. It generates an information unit after every specified time interval. That information unit can be forward to a different system. If it does not receive additional packets within the configured interval, it can doubt that the Agent is either in trouble or already stopped running.